Published on July 17th, 2017 by Bojan Janjanin. How’s this for creating a lovely user experience from the very first interaction with a book? This book is about people forgetting stuff, which is depicted in a great way in this cover. 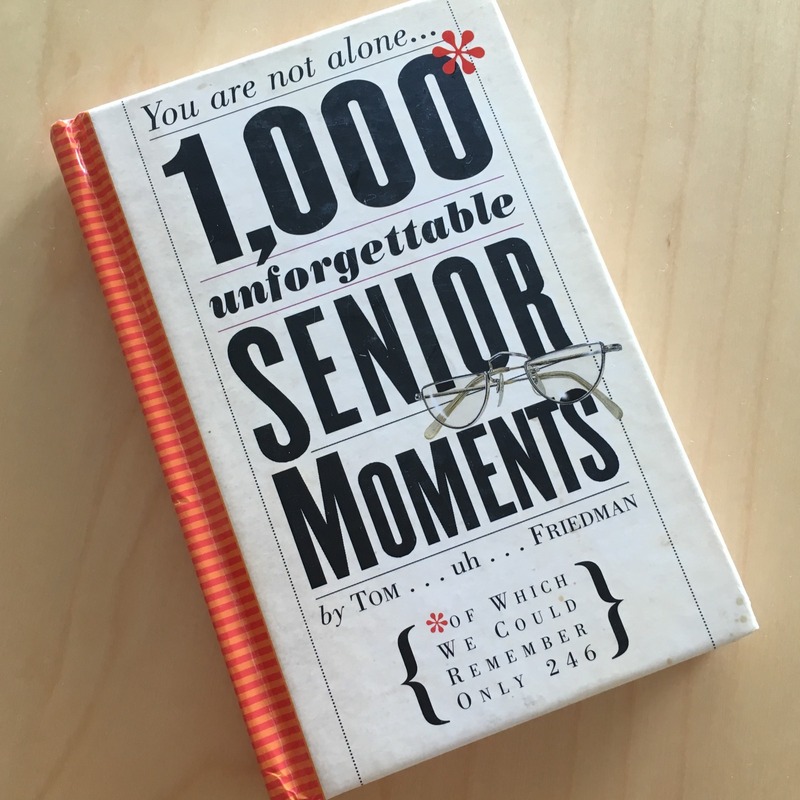 My copy of 1000 Unforgettable Senior Moments, by Tom… uh… Friedman.